It’s suitable for indoor and outdoor use, so you can choose to position it in the garden or in the house! 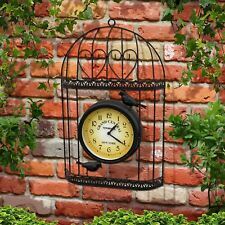 Get an elegant bird cage wall clock. We will then advise you on resolving this issue, through repair where necessary. The HCW007 is everything you would expect from a kitchen/office clock. The clock has a clear easy to read dial that is set in a 30cm case. 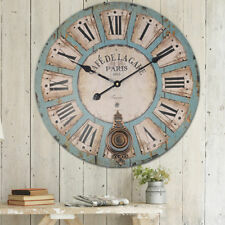 This silver pocket watch style clock is a great addition to any room in the house. Silver Round Wall Clock. Key product information. Battery powered.